When most students were enjoying the last days of summer freedom, the New Trier High School boys cross country team was already busy running for a good cause. On August 26, the team held “Run For The Refugees”, a fundraiser that raised more than $10,000 for RefugeeOne, the largest refugee resettlement agency in Chicago. More than 100 runners collected pledges on the number of miles they could run, anywhere from four to 16 miles. 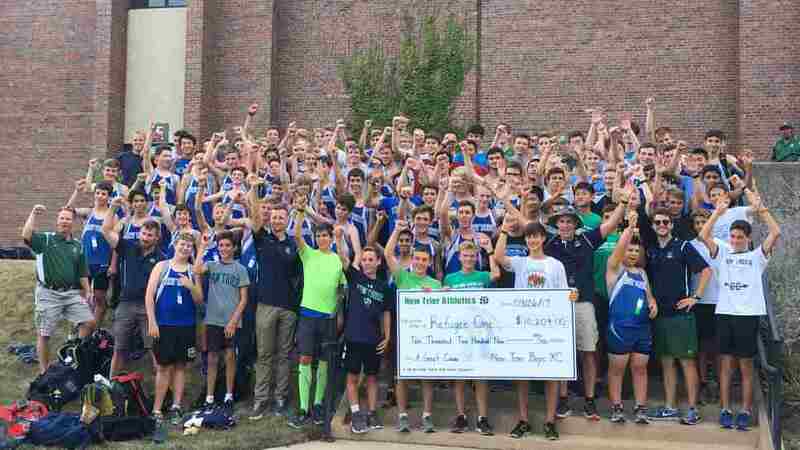 “I was really surprised by how much money we raised and really happy to see how many people stepped in and helped this organization,” Luke Wisner, a junior at New Trier and member of the boy’s cross country team, told DailyNorthShore. For years the boys cross country team has wanted to hold its own fundraiser — an effort that many sports teams at New Trier undertake each year — but finding time was difficult, given how busy many of the boys’ schedules are in the fall, according to Dave Wisner, head coach of the team and also Luke’s father. New Trier High School boys cross country team raised more than $10,000 for RefugeeOne. But when the team realized that school was starting four weeks later than the sports season, this year presented itself as the best time to hold their first fundraiser. The team considered various organizations to help, and chose Refugee One because the Wisner family has close ties to the organization. Luke’s mom, Kathy Wisner, became involved with resettling a family in Chicago through RefugeeOne in January. Since then, Luke has volunteered by helping the refugee family on weekends. 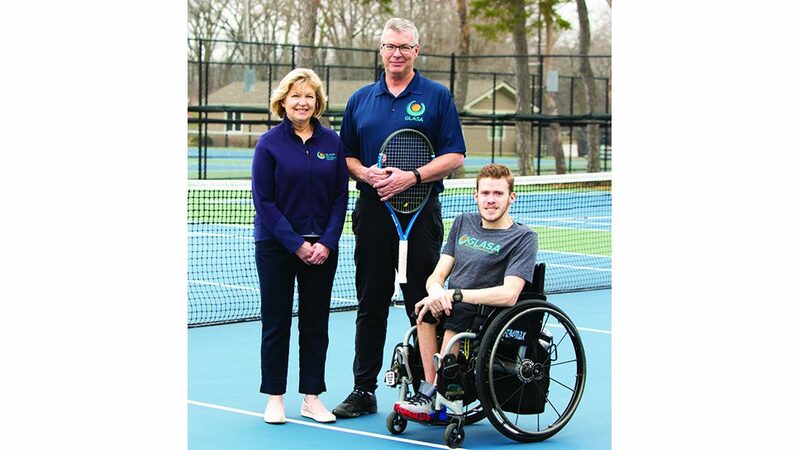 “We thought about giving back and doing for others not as fortunate, and it snowballed into this fundraising effort,” Coach Wisner explained. Luke has been working with the family on learning English, teaching them the alphabet, how to write their names and improve pronunciation. “It’s a little bit of a challenge because there is no real way to communicate with them,” Luke said. He uses Google translate at times and finds that their English is improving. Luke was excited to be involved with a fundraising effort that benefits a charity he has worked with firsthand. Since the team raised such a large sum of money, RefugeeOne was able to reopen a childcare center where children are cared for while their parents attend English classes. “We can see directly what the team’s fundraising did for the organization,” Coach Wisner said. As for future plans, this team is hardly one and done. 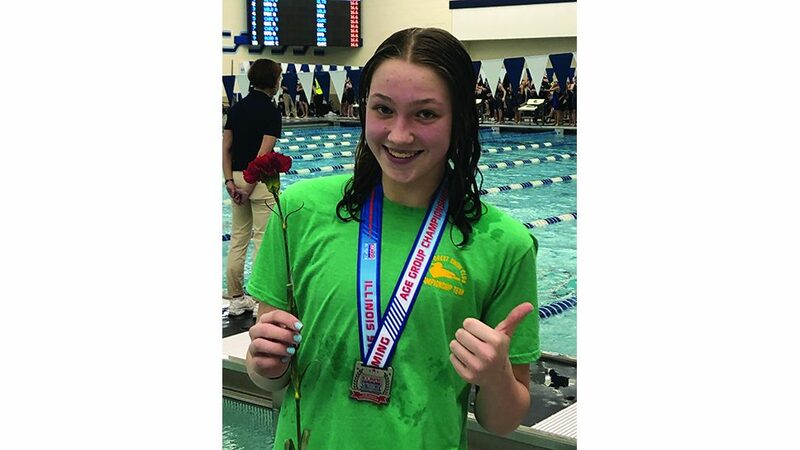 “We are going to this again next year because it was such a positive experience,” Coach Wisner said.